Territory and history, exclusivity and tranquility. An eighteenth-century farmhouse in a timeless landscape, an exclusive living room where you can recharge your mind and breathe authentic Sicily. After a day exploring the island, give yourself another moment of relaxation: a last dip in the pool or an aperitif at sunset. Un'oasi. La struttura è stupenda. Veramente consigliato. Avete necessità di staccare dalla confusione e dal rumore della città ? Questo è il posto giusto. Posizione strategica in cima ad una collina, clientela selezionata e il basso numero di camere, rendono questo posto un oasi di tranquillità e silenzio senza uguali. Un posto magnifico immerso nel silenzio Abbiamo soggiornato due settimane presso questa struttura e siamo rimasti molto colpiti dall'ambientazione. Il respiro del silenzio. Pregevole ristrutturazione di un Baglio siciliano che ha fatto rivivere un posto incantevole sulla cima di un colle con vista splendida su Ispica e Rosolini. 16 suites and three different living solutions, each with a kitchen and private garden to guarantee maximum comfort and privacy. Sicilian pastry, fresh fruit, cold cuts and cheeses: a rich breakfast buffet to be enjoyed without haste in the small garden overlooking the landscape. the ideal starting point for art, history and nature itineraries. 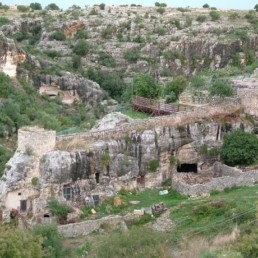 Pretty agricultural town with beautiful monuments at the end of a deep rocky gorge with dense traces of the presence of prehistoric villages and necropolis. A maritime town in the Syracuse area of ​​enchanting beauty, it attracts many tourists, many of them very young, due to the crystalline sea, the remains of an ancient tuna fishery transformed into pleasant restaurants and the sparkling nightlife. 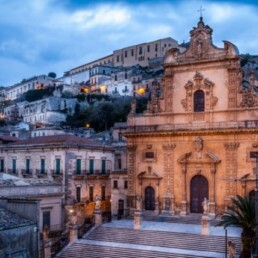 City in the province of Ragusa attracts many tourists for important monuments in the late Baroque style included in the list of UNESCO heritage, as well as for the famous chocolate processed according to the original Aztec recipe! 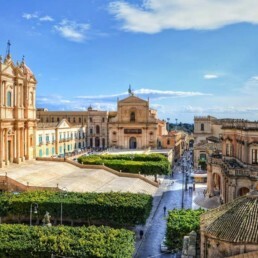 For the magnificent churches and the wonderful eighteenth-century buildings, Noto boasts the title of "capital of the Baroque". 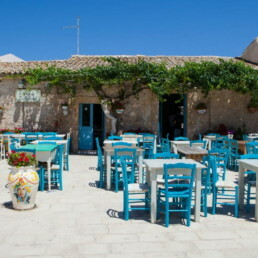 Called "Island in the island" or "the other Sicily" by great writers and artists, Ragusa has seen its rebirth following the devastating earthquake of 1963. 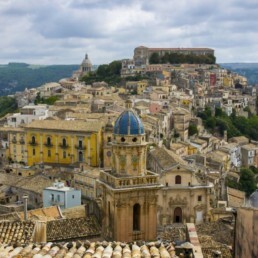 The architectural masterpieces of Ragusa Ibla are a world heritage site. Superb Faunistic Oasis, thanks to the "pantani" it hosts a multiplicity of birds and a composite vegetation; with its archaeological settlements testifies to the presence of man since the Greek era. 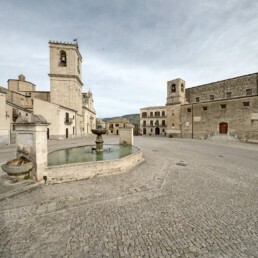 Awarded the title of World Heritage Site in 2002, Scicli is a delightful baroque town located in the province of Ragusa. 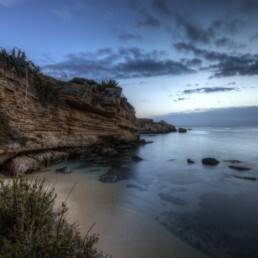 It boasts the most extensive coastline among all the municipalities of Ragusa where the anthropogenic elements are flanked by areas that are still uncontaminated and wild. 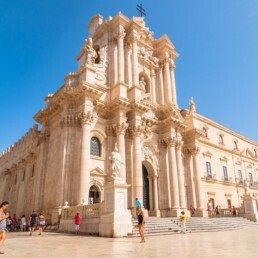 Thanks to the marvelous Archaeological sites, the monuments, the beauty of the island of Ortigia, Syracuse entered in 2005 in the World Heritage List. But Ortigia is also the center of a young and ardent life.